Home → Uncategorized → Tame the E-Mail Madness! Here’s a simple system to get control of your e-mail inbox — and your life. Inbox Zero philosophy keeps messages manageable and increases your productivity. Eight. That’s how many emails are in my Microsoft Outlook inbox at this moment. How is that possible when I, like millions of cubicle dwellers across America, get literally thousands of emails per month? It’s a philosophy called Inbox Zero. 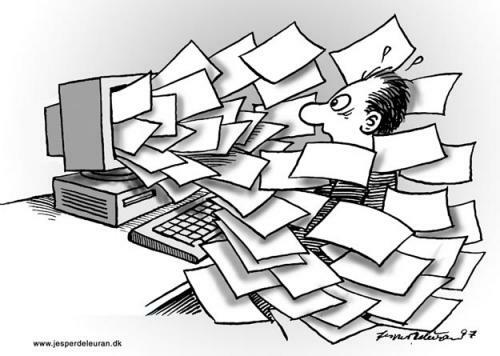 It’s a solution to the overwhelmed, out-of-control feeling that a jammed inbox invokes. relative newbie of just nine months on the program. Ben Rady, 34, a software engineer in Chicago, is better at it, subscribing to the philosophy since 2006.
make a big change,” he said. “I couldn’t handle it,” he said. “I had to get organized or I would have been fired.” He went on to excel at his career and to write a book and teach classes on the side. you might delete it or move it to a folder. the useful information from it, leaving a useless husk. smart use of coupons, I move it to a folder, again without reading it. “coupon” to find all the emailed news releases I need. The point is to act on email as you “process” it in batches. Leaving messages in the inbox is frowned upon. your inbox — it’s how much of your own brain is in that inbox. on her clients. “I advocate finding a rhythm that works for them, and that’s not always an Inbox Zero,” she said. uses Inbox Zero. Dorsey? Not so much. more properly belong on a to-do list or project list. related to things she’s actively working on. among thousands of messages in their inbox. Zero. “It’s become a little competition at work,” she said. instead focuses on maintaining a good task list. to be obsessed with having Inbox Zero, because that was stressful to me. can create and a better system for dealing with email can alleviate. Of course, that sounds totally hokey. This is, after all, only email, right? Not Rady; not anymore. Once a slave to email, he’s now master of it. to-do list and Microsoft Outlook calendar synced with my phone. your email program, or at least turning off new-mail notifications. folders and label spam as junk. preserved for only processing new email. tools Wencel recommends are Copernic Desktop Search and X1. Mann explaining Inbox Zero to Google employees at inboxzero.com/video. book “Getting Things Done” by David Allen.